Standard payment terms a net 30 days. All orders are subject to credit approval. All Invoices not paid within the specified terms will be subject to a 1.5% per month delinquency charge. Buyer agrees to pay all costs of collection including such attorney’s fees as may be allowed by law. All orders are subject to approval by Infrico USA Corp.
All prices are FOB Miami, Florida. Prices and specifications are subject to change without notice. This price list does not include any Federal, State, City or Local taxes, which may apply. Requested carrier will be used upon request. Infrico USA Corp. has the right to ship via any responsible carrier if requested carrier is unavailable. 3rd party Shipping charges are payable by consignee and any claims arising as such charges shall be resolved between the carrier and the consignee. The consignee must make all 3rd party freight claims for damages in transit with the carrier. Infrico USA Corp. assumes no responsibility for damages while in transit freight damage claims for any freight sent by contracted Infrico USA companies should be made to Infrico USA within 7 Calendar days of receiving freight. Shipping or delivery dates are approximates. Infrico USA Corp. is not responsible for any delays in deliveries that are beyond our control, such as act of god, and delays in transportation, strikes, or any contingencies of similar characters. Cancelled orders and returned merchandise are subject to a 25% restocking and handling charge. Written authorization is required for a return of any equipment. All equipment returned must be in its original factory crate; freight prepaid and must be in the same condition as originally shipped by Infrico USA Corp.
All parts covered under this specifi c above stated warranty that are determined as failures by Infrico, are limited to the repair or replacement, including labor charges of defective parts or assemblies. All claims for labor or parts must be made directly through Infrico. All claims should include model number of the unit, the serial number of the cabinet, proof of purchase, date of installation, and all pertinent information supporting the existence of the alleged defect. 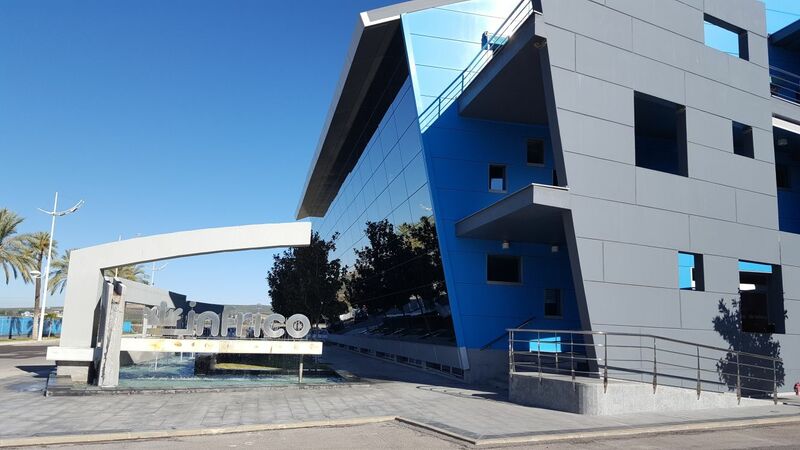 Based on the reported case, Infrico will program the service attention either by sending an authorized technician to the place indicated by the Customer in order to solve the situation or will send the necessary spare parts for its repair. This contract does not apply outside the limits of the USA and CANADA. Nor does it apply to any part which has been subject to misuse, neglect, alteration, accident or to any damage caused by transportation, fl ood, fi re, or the acts of god. This contract is not eff ective unless the INFRICO Warranty Claim Card, furnished to the distributor, is properly fi lled out and mailed to HYPERLINK “mailto:service@infrico.com” service@ infrico.com within 24 HOURS from the date of delivery. The term “Original Purchaser” as used herein shall be deemed to refer to that person, fi rm, association, or company for whom the refrigeration unit refers to herein is originally installed. Infrico´s sole obligation under this warranty is limited to either repair or replacement of parts, subject to the additional limitations below. This warranty neither assumes nor authorizes any person to assume obligations other than those expressly covered by this warranty. No consequential damages: Infrico is not responsible for economic loss; profi t loss or special indirect or consequential damages, including without limitation, losses or damages arising from food or product spoilage claims whether or not on account of refrigeration failure. Warranty is not transferable: This warranty is not assignable and applies only in favor of the original purchaser/user to whom delivered. Any such assignment or transfer shall void the warranties herein made and shall void all warranties, express or implied, including any warranty of merchantability or fi tness for a particular purpose. Improper use: Infrico assumes no liability for parts or labor coverage for component failure or other damages resulting from improper usage or installation or failure to clean and/or maintain product as set forth in the warranty packet provided with the unit. Alteration, neglect, abuse, misuse, accident, damage during transit or installation, fi re, fl ood, acts of God: Infrico is not responsible for the repair or replacement of any parts that Infrico determines have been subjected after the date of manufacture to alteration, neglect, abuse, misuse, accident, damage during transit or installation, fi re, fl ood, act of God or improper electrical connections. Infrico is not responsible for the repair or replacement of failed or damaged components resulting from electrical power failure, the use of extension cords, low voltage, or voltage drops to the unit. Infrico is not responsible for replacement resulting glass condensation upper humidity percentage catalogue indicated. No implied warranty of merchantability or fi tness for a particular purpose: There aren’t any other warranties expressed, implied or statutory, except the warranties as described above. These warranties are exclusive and in lieu of all other warranties, including implied warranty and merchantability or fi tness for a particular purpose. There are no warranties which extend beyond the description on the face hereof.